Yeah it's colorful. 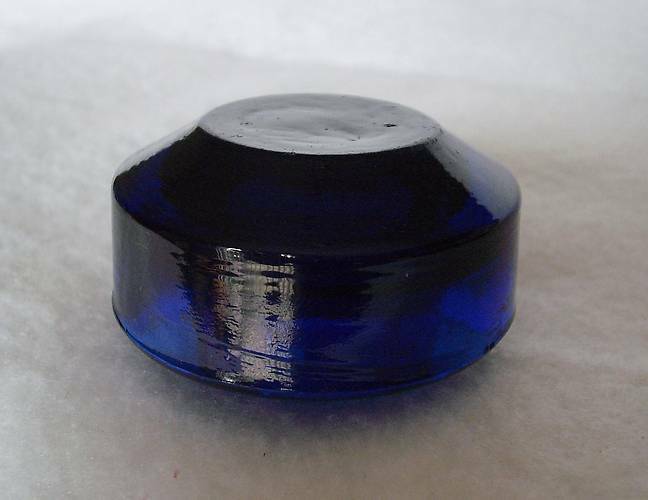 This is the CD 22 unembossed is a wild violet blue color. It's a looker, but certainly not one of my personal favorites. This one measures 2 3/16" across. I picked this one up with a small group of miscellaneous insulators last year. The color in the photo is too blue, it has more purple to it in person.